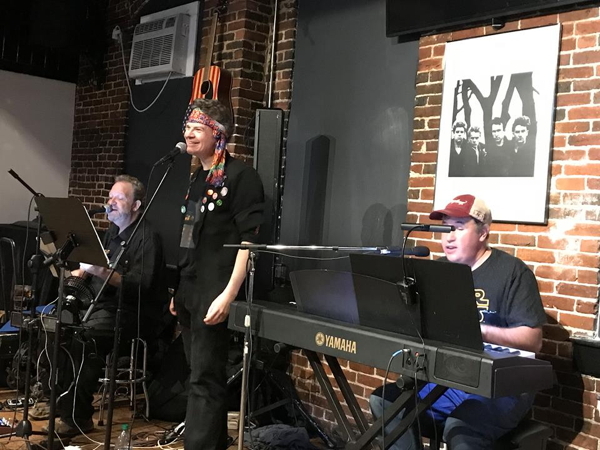 This week we conclude our look back at last month's concert by After These Messages, a weird new band (Kevin is the lead singer, sort of) that only plays TV theme songs, and may never play again. (You're welcome!) The second half of the concert included plenty of classic sitcom themes (such as Happy Days, Three's Company, Silver Spoons, and WKRP), another ridiculous duet (Family Ties), a Billy Joel cover (thanks to Tom Hanks in a dress), a School House Rock medley, an eerily accurate Peter Brady impression, and a song that no one could possibly remember (unless they're a Flopcast listener). It was a magic night. There were no survivors. Also: We celebrate National Grouch Day, we receive a surprise turxt, and we agree upon the stakes of our Fish Heads bet. The Vegas oddsmakers must be freaking out. 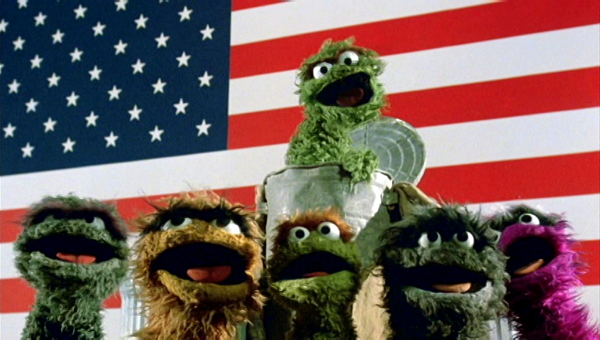 Have a Happy Miserable National Grouch Day! Kevin broke out the Cloris Leachman cosplay again to perform the School House Rock medley, a classic Sponge Awareness Foundation arrangement!